Posts that include discussions of movies go here. Which character, you ask? I’d tell you, but I don’t want to leave anything spoilery above the click-through fold. So you have to put up with a full three fluff sentences before getting to this quick thought. When a movie’s 2.5 hours long, you can sometimes write THREE blog posts about it! (And, uh, possibly more as I think of topics …). There are spoilers if you click in or read further, friends. I know that warning will seem laughable if you’re reading this anytime after, say, March 2018, but remember how it felt when the movie was only a week old? Spoilers ahead. Thor: Ragnarok is upbeat, hilarious, and high-octane. If you don’t enjoy this movie, you might not have a pulse. Ninety-nine percent of conversations I want to have about it start with that sentence. Then the other person says, “I know, right? !” and then we recount back and forth all the moments we loved in the movie. But let me give you that last one percent, because they managed to stick just a tiny bit of deeper thought in there, too! Spoilers ahead. I was a week late to seeing Wonder Woman, missing my chance to help it break opening-weekend records. But like many, I’ve been caught up in the excitement of finally seeing a modern-era female superhero onscreen. Read on at your risk — if you choose to travel forward from here, you can never return to this unspoiler’d paradise! So, among my Civil War posts, this is really more a matter of personal preference than any sort of thought or analysis. I didn’t like their Spider-man. Spoilers ahead. Civil War: Hawkeye and Wanda: Damsels rescuing Damsels? This is post three in a series of reflections on Captain America: Civil War. This is a bit briefer but goes into a question of whether the movie has any feminism to it. Spoilers ahead for Civil War, Daredevil, and Age of Ultron. Continuing some thoughts on Marvel’s new Captain America: Civil War, here are some thoughts on what the story did with T’Challa, king of the fictional nation Wakanda, who suits up in that nation’s advanced “vibranium” armor. 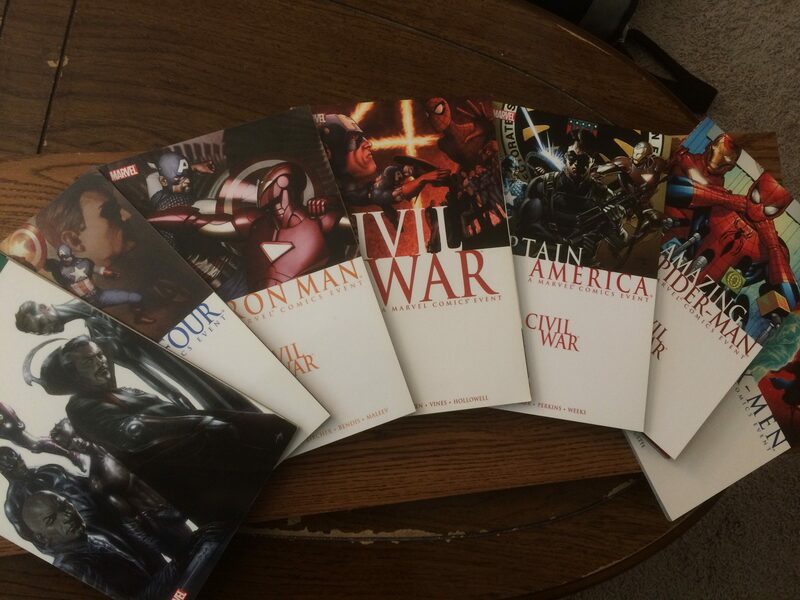 Spoilers ahead for Civil War, Winter Soldier, Age of Ultron, Batman Begins, Wolverine, and Die Hard.